I’m a recovering loser….I used to lose everything. Now I only lose some things. For those of you out there that don’t lose things, this post is not for you….unless you want to marvel at how us “losers” live. 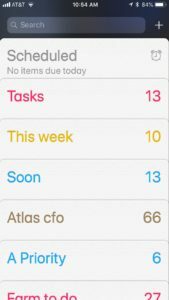 If you want to learn how I became a productivity hacker with my to do list app and a guru at not losing things then read on. I have lost so many things that I had to make a list of things that I had lost and when I had extra time in my schedule I would look for those items. The list was impressive and embarrassing. Losing things and then hunting for them is an incredible waste of time! What a loss of productivity! The final straw was the day that I lost ALL of the keys to the van. I was 38 years old and made a promise to myself that day – No more losing things. I talked big about it to everyone and for the most part, I did a good job of keeping track of those items. However, I am a crazy list maker. This means that I have lists and sub-lists to my lists. Keeping track of these lists became a pretty big job. I used one notebook, then different colored notebooks, different colored paper, notecards, etc. Each time I still was overwhelmed, but I at least knew where it was. In 2013, I converted to having my entire to-do list on my phone and it has saved my life and my sanity. Now, my list of things not to lose is down to four! The inspiration came from Chalene Johnson (http://www.chalenejohnson.com). She has so many great productivity ideas! Although I don’t use her exact method, you may want to check her out to see if her ideas will help you. Using Reminders in iPhone, I set up folders. Some folders are Exchange folders that sync with Outlook 365 (business account) and some are iCloud folders that we can share as a family. As soon as I think of something I need to do, it goes on the list. I’m not overly worried about where I put it. Just get it down. Every day I review all the folders. I move items into their appropriate folders. I put the items that HAVE TO BE DONE TODAY in the Today folder. This is a critical step. I put ONLY the stuff that has to be done today in that folder. If it doesn’t have to be done, it goes in a different folder. If I am reminding myself of something, I leave it in Today. For example, “Gratitude” can stay on the list as I will look at it all day, every day and remember. Review the list multiple times per day to make sure I’m on track. The same rules follow for This Week. Everything else goes into a different folder. My to do list goes everywhere I go and I’m getting more done with less stress than I have in years. I don’t forget things (as much) and I feel like I’m in better control. 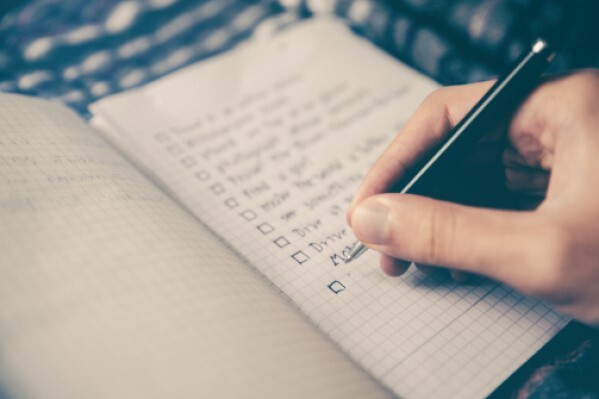 How do you keep your to-do list? What tricks can you share?